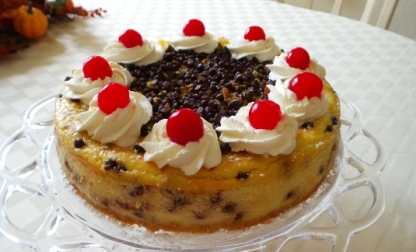 Sicilians love ricotta desserts and there are many variations of this cake. 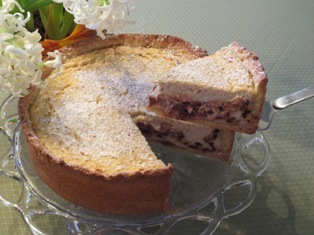 Different types of ricotta pies and cakes are particularly popular at Easter. 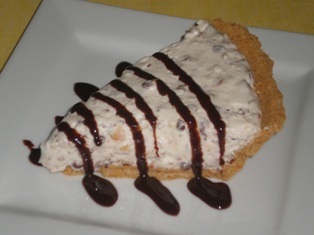 In this recipe the crust differs from most ricotta cakes in that it is made with a sweet pastry dough called pasta frolla instead of the standard crumb base. Place flour on a counter or in a large bowl. 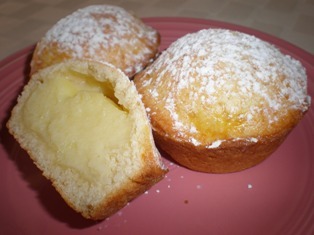 Rub the butter into the flour with your fingers or a pastry blender. Work quickly so the mixture remains cool. Incorporate the butter until the mixture has the texture of cornmeal. Form a well in the center and add the remaining ingredients. Gather the ingredients together and gently knead into a ball. Add a few tablespoons of water if the mixture is too dry to form a ball. Shape the dough into a disk, wrap in plastic, and refrigerate for 30 minutes. cornmeal. Add the egg, yolk, and vanilla. Pulse until dough forms a ball. Add a few tablespoons of water if the mixture is too dry to form a ball. Shape the dough into a disk, wrap in plastic, and refrigerate for 30 minutes. In a large bowl, beat together the ricotta and sugar until smooth. Add the eggs, one at a time, beating well after each addition. Add the vanilla, Fiori di Sicilia, and cinnamon. Stir in the chocolate chips. Set aside. Lightly butter a 9-inch springform pan and set aside. On a lightly floured surface, roll out the dough into a 15-inch round. Roll the dough around the rolling pin and carefully place it into the prepared pan. Gently press the dough into the bottom and up the sides of the pan. If it tears, simply patch it with your fingers. Cut off the excess dough around the top of the pan. Pour the filling into the pan and smooth the surface. Bake for 45 - 50 minutes until a skewer inserted into the center comes out clean. The cake may seem a little jiggley in the center but it will firm up when cooled. Cool completely on a wire rack. Run a knife around the end of the cake before you remove the pan's ring. Refrigerate 2-4 hours before serving. Dust the top generously with confectioners' sugar before serving. An Italian favorite, this pleasant combination of citrus and vanilla imparts a delightful aroma to your baked goods, drinks and more. Available in a variety of colors, this springform pan is made from aluminum that will not rust and conducts heat more evenly than other materials. Large hard maple surface is perfect for kneading bread dough, rolling out pizza or pie dough or working with pastry dough. Keep one side smooth for working with dough and use the reverse side as a cutting board.